JASPER, Alabama — College Hills Plaza, a strip shopping center on U.S. Highway 78 East in Jasper, is being sold in an online auction ending Tuesday, May 31. Pearce & Associates is marketing the property at the direction of the Liquidating Trustee of the Liquidating Trust of J&E Land Company, pursuant to the Plan of Liquidation approved by the United States Bankruptcy Court. The shopping center, located at 1301 U.S. Highway 78, Jasper, has 27,043 square feet of gross leasable space and also includes a separate building, which formerly was occupied by a local barbeque restaurant. “This is a well-located shopping center in the heart of Jasper, at the intersection with Walston Bridge Road. The area is packed with vital businesses that draw people into the area, including several fast-food restaurants, Jim & Nick’s, a Home Depot and a Quality Inn,” said Chip Pearce, president of the auction company. The shopping center currently has six well-established tenants generating $5,486 per month in income. Four suites are vacant. “With new, active management, the new owner can lease out the rest of this property with businesses that can benefit from the high-traffic, highly visible location and have a great commercial investment,” said Pearce. 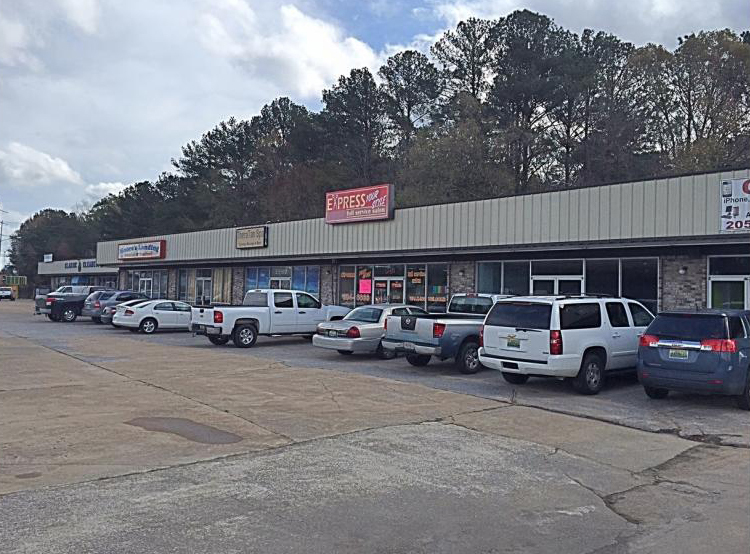 The shopping center has paved parking and easy access to downtown Jasper or Interstate 22. Bidding is under way at auctionbypearce.com, and individuals can get additional information at the web site or by calling 205-664-4300. Jasper-based J&E Land Company filed for Chapter 11 bankruptcy protection in 2013, citing debts of more than $7.4 million. Pearce & Associates, based in Alabaster, markets real estate and other assets throughout Alabama, primarily through online auctions. Clients include estate executors, business owners, attorneys, bankruptcy trustees and individuals. The firm also has ongoing contracts with many cities and counties for the sale of surplus materials. Individuals seeking additional information may call 205-664-4300.